EDIT: The period for submissions will be reopening January 1st and extending until March 1st 2018. There is no length limit or requirement for essays. Pieces may be submitted as either Word-compatible files or using Google Docs. Please include references following the Chicago Manual of Style's specifications for citations. There is a simple overview here. If you have questions or would like feedback throughout this process, please feel free to email me at casandra@houseofhands.net. Compensation for authors is $50 and a free copy of the book with its accompanying hand-printed Tarot card. "Interanimism: On the Mutual Inspiration of a Dreaming Earth" by Matthieu Thiem. "My Theology is Mycorrhizal" by Sean Donahue. 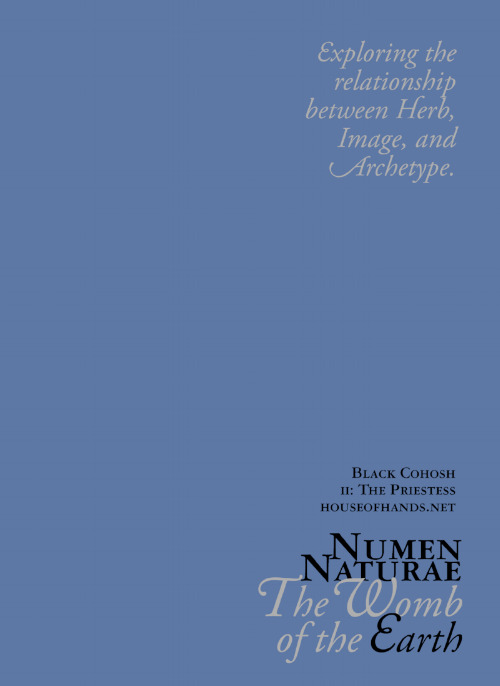 "Archetypal Harbalism" by Jennifer Stickley from Numen Naturae: The Magician's Wand.